What are signs of spring? Warm sun, eggs hatching, grass growing, green! Flowers blooming, rain falling, baby animals, windy breeze! Even though the weather has been wintery, the official first day of spring is March 20. Let’s say good-bye to the cold and hello to warm days ahead. “Cheep! Cheep!” by Julie Stiegemeyer, illustrated by Carol Baicker-McKee. There’s a chick on his way to being born, “cheep!” There are only seven different rhyming words in this book, but a hatching story is told. The illustrations are simple collage of fabric, clay, and other materials that young children will adore. “Baby Bird’s First Nest,” written and illustrated by Frank Asch. One warm night, Baby Bird fell out of her nest. Frog helps her gets cozy on the ground and then back home in the tree where Baby Bird belongs. This is a story about bravery and persistence. “Spring is Here,” written and illustrated by Lois Lenski. Originally published in 1945 and now back in print, this cheerful, rhyming book is illustrated with “old-fashioned” pictures. 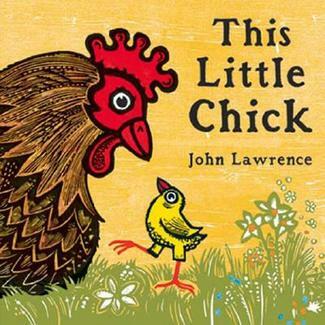 “This Little Chick,” written and illustrated by John Lawrence. A long-legged, yellow chick gleefully visits all the farm animals and their babies. In rhyming verse with a repeating refrain, Little Chick skips and jumps and finds out what noise each of them say. The pictures look like woodcuts stamped in block of color. “It’s Spring!” by Samantha Berger and Pamela Chanko, illustrated by Melissa Sweet. A very cute, hopping rabbit bounces through this book gathering animal friends and announcing, “It’s spring!” One by one all the signs of spring appear, including a bear family, waking from their long winter’s nap. “The Windy Day,” by Frank and Devin Asch. This father and son team created a book told from the wind’s point of view. What would you do if you were the wind? A little girl finds out and she tumbles, glides, and soars. “Mouse’s First Spring,” by Lauren Thompson, illustrated by Buket Erdogan. The illustrations are rounded and colorful, the story full of vivid descriptions of the many discoveries young mouse makes that signal that spring has arrived. 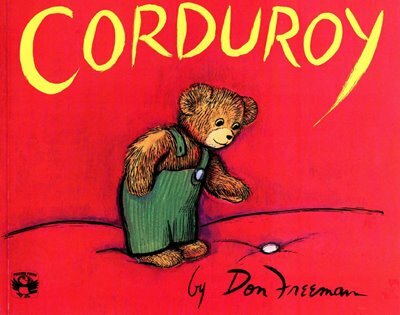 This is one of a series of “Mouse’s First” books.